The property market must really be in a sorry state with Bank Negara Malaysia (BNM) having to come out with another statement that houses in the country are “seriously unaffordable”. In Penang, specifically on the land-scarce island where property prices are especially high, even when the units are affordable, sale is still sluggish. “A 1,000 sq ft apartment with full condo facilities (26 features) on the island and priced at only from RM316,000 onward, with two or three car park lots and freehold, freebies have also been offered!” Gerakan Deputy Speaker Syed Abdul Razak Alsagoff said. > Three car park lots (Limited units only). “I wonder what is sales like now on Penang island for so-called high-end condominiums priced at RM700,000 and above,” he added. OF late, there have been renewed concerns about house prices and affordability. The perennial question is: Will house prices ever come down? The concerns about affordability is underscored in the recently released report, The State of Households, by the Khazanah Research Institute. The institute reported that houses on average cost 5.5 times annual median income, when it should be just three times annual median income. 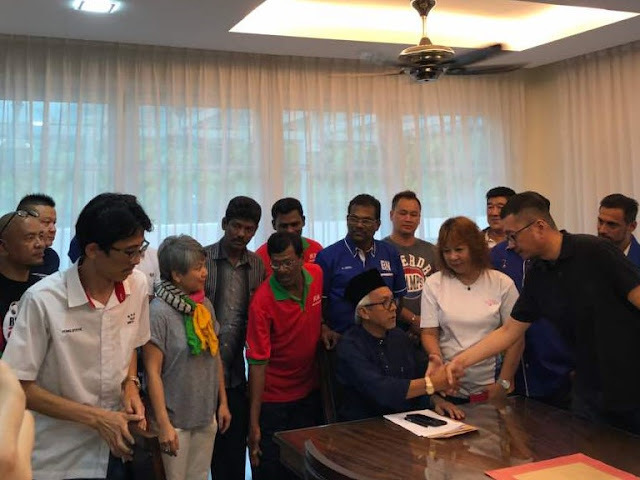 Syed Razak, who is Gerakan’s nominee to contest N.37 Bukit Lanjan in the coming 14th General Election (GE14), said BNM’s concern for a shortage of “affordable housing” was thus made with “strong basis”. “Also, why is there a shortage of buyers? What’s the real reason? If the banks are not approving loans, why? There are also many other questions on the issue of affordable housing. 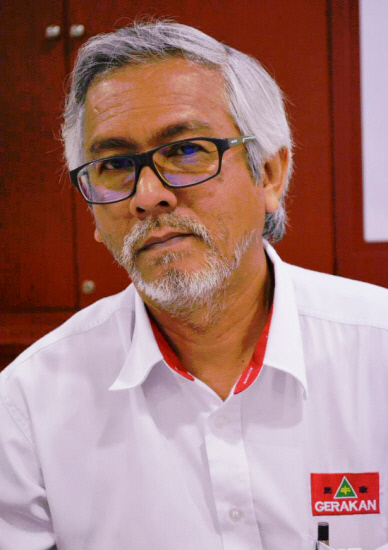 “Whatever the questions, the fact that developers and property agents are giving away freebies speaks volumes of the performance of the property market,” Syed Razak added. A view of the Rifle Range flats in Penang. 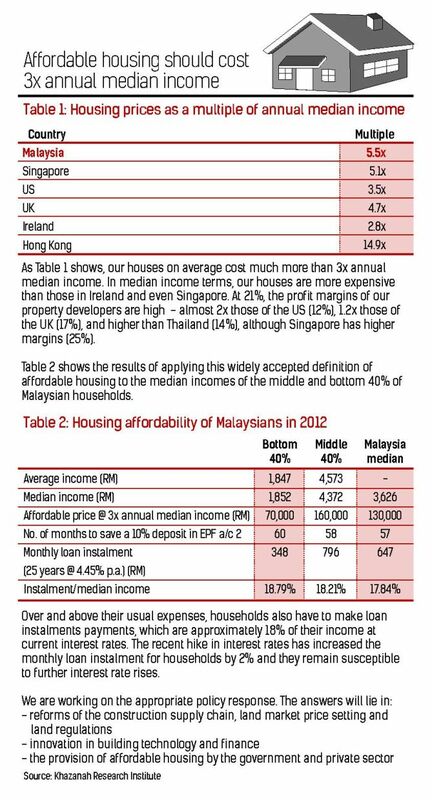 Bank Negara Malaysia estimates the maximum affordable house price to be RM282,000, but the actual median price was RM313,000 in 2016, beyond the means of many households. – The Malaysian Insight file pic, February 14, 2018. 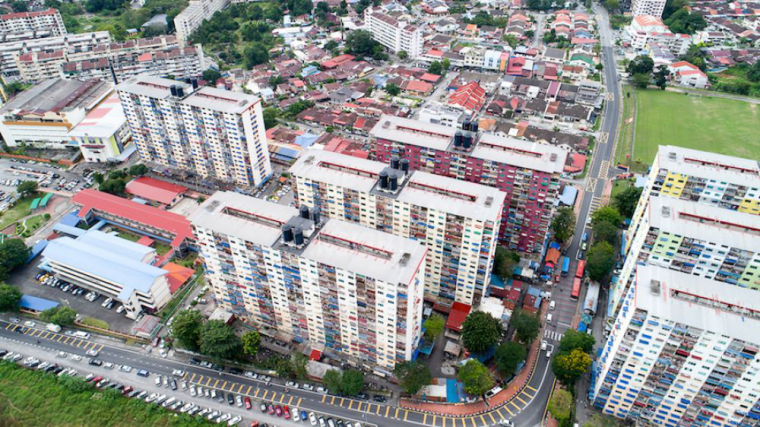 MALAYSIA faces a shortage of affordable houses for the masses, Bank Negara Malaysia (BNM) said in a report that also disclosed data showing that houses in the country were ”seriously unaffordable" in 2016 by international standards. The central bank outlined five strategies to overcome the issue, including centralising affordable housing initiatives and setting up an integrated housing database and an applicant registry for planning and allocating affordable housing. It also suggested reducing the cost barrier to affordable housing, rehabilitating household balance sheets by enhancing financial literacy and improving the rental market by strengthening the legal framework. "The housing affordability issue is largely due to the supply-demand mismatch and slower income growth,” the central bank said. BNM estimated the maximum affordable house price in the country to be RM282,000 based on the housing cost burden approach. "However, actual median house price was RM313,000 (in 2016), beyond the means of many households, where the median national household income was only RM5,228," it said in its quarterly bulletin released today. The bank said undersupply of affordable houses remained an issue. It outlined three factors contributing to housing unaffordability in Malaysia: mismatch between supply and demand for housing, new launches skewed towards the unaffordable range, and growth in house prices outpacing that of household income. “Since 2012, new housing supply has consistently fallen short of the increase in demand by households,” BNM said. During the year up to the first quarter of 2017, only 24% of new launches were priced RM250,000 or less, a range that 35% of Malaysian households could afford. The bulletin also revealed that from 2007 to 2016, house prices grew 9.8% while household income only increased 8.3%. The mismatch was most acute from 2012 to 2014, when the growth in house prices (26.5%) was more than double the growth in income levels (12.4%). As a result of the supply-demand mismatch, BNM said, the level of total unsold residential properties in Malaysia stood at a decade-high of 146,497 units as at the second quarter of 2017, an increase from 130,690 units in the preceding quarter. In Q2 2017, almost 82% of unsold units were priced above RM250,000. The bank also noted that financing continued to be available for purchases of houses for eligible borrowers, with more than 70% of housing loans accorded to first-time buyers and almost two-thirds of new housing loans channelled to the purchase of houses costing below RM500,000. 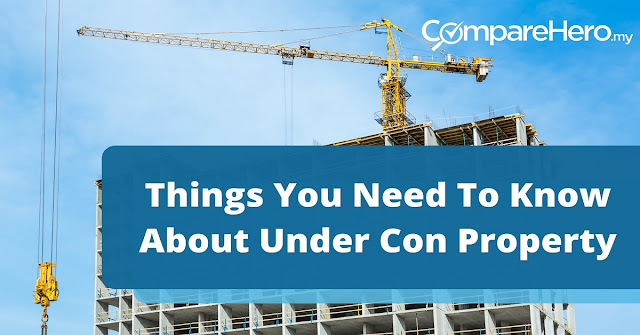 “Together with a low state of financial literacy among the majority of Malaysian households and a cultural preference towards home ownership instead of renting, these have contributed to the high demand for house purchases,” it added. – Bernama, February 14, 2018."